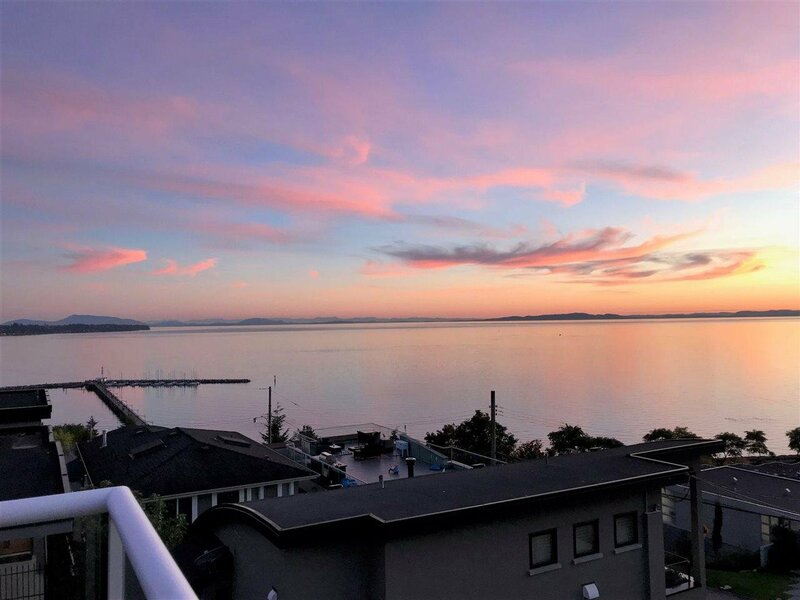 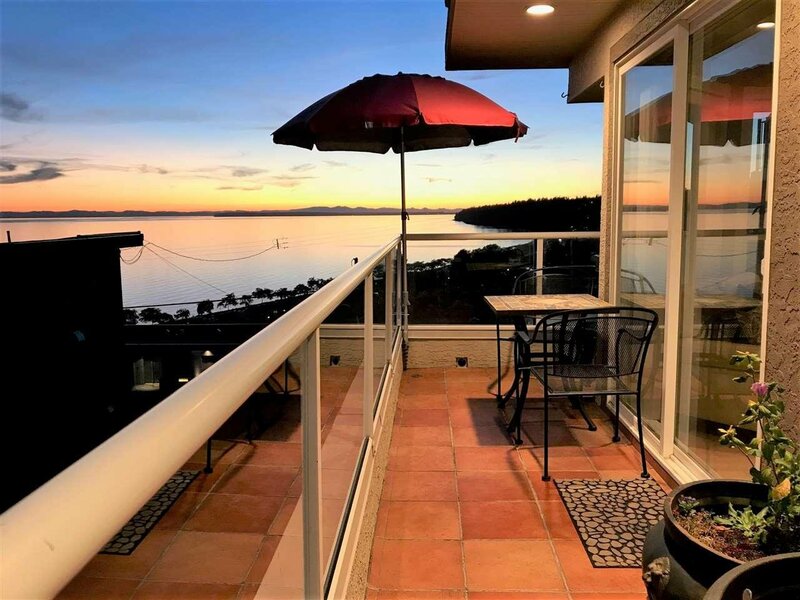 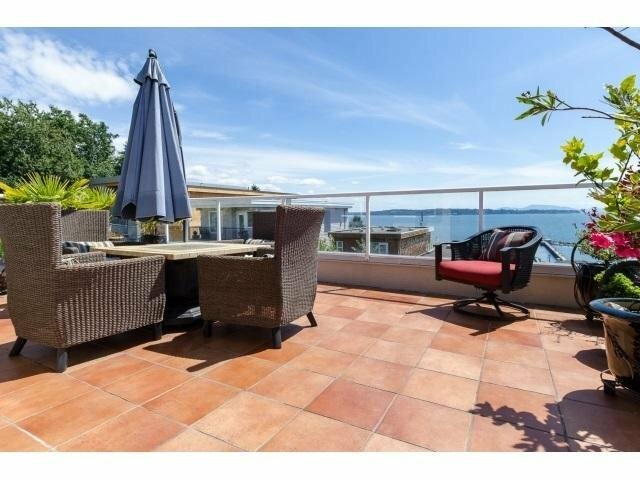 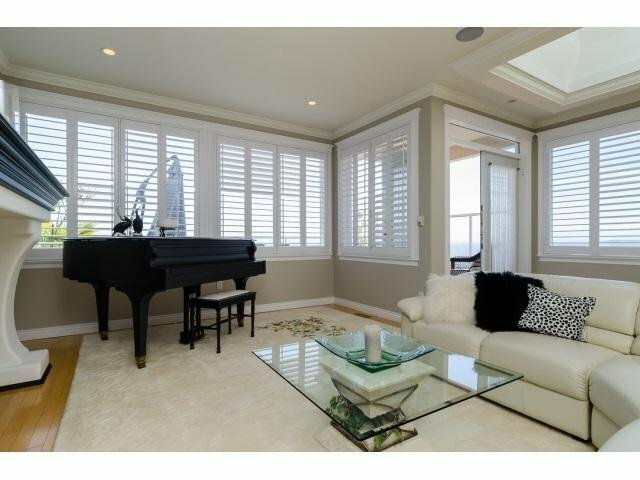 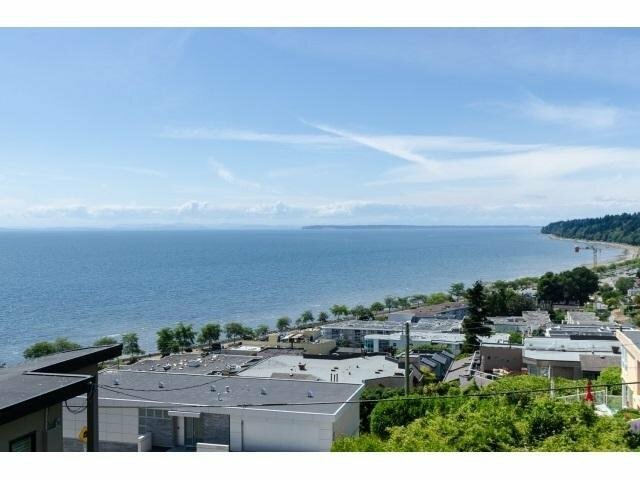 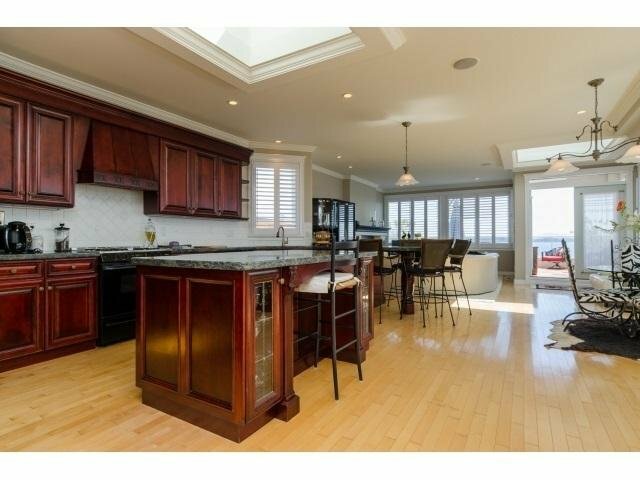 White Rock Home w/stunning Ocean Views high above the Pier. 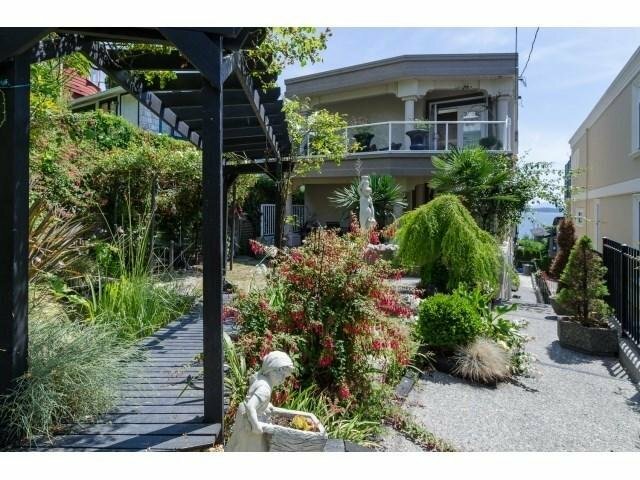 Enter through your own tropical paradise w/waterfall, gardens and patio. 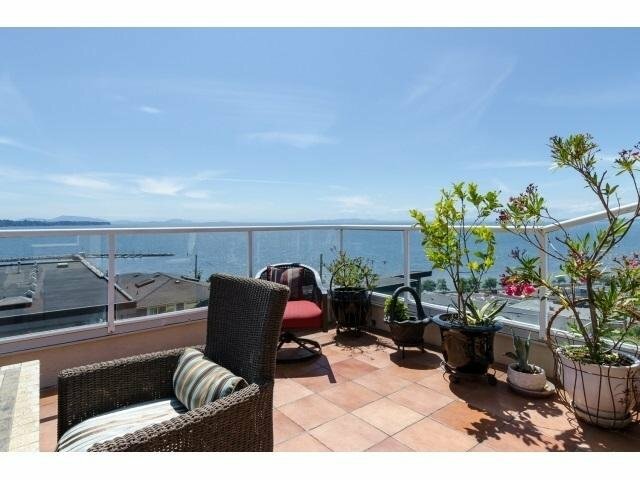 Gardeners delight. 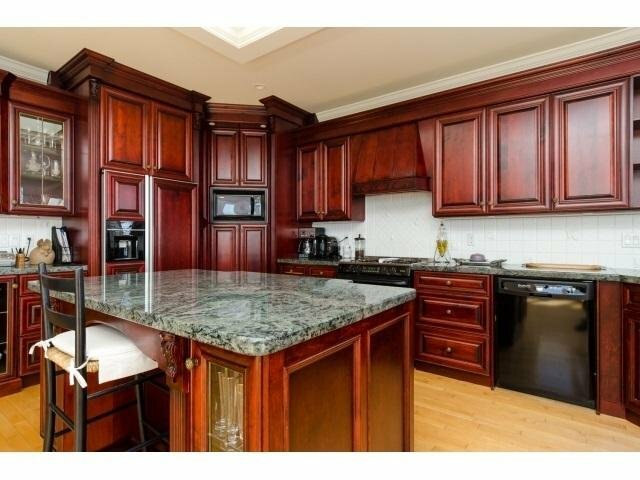 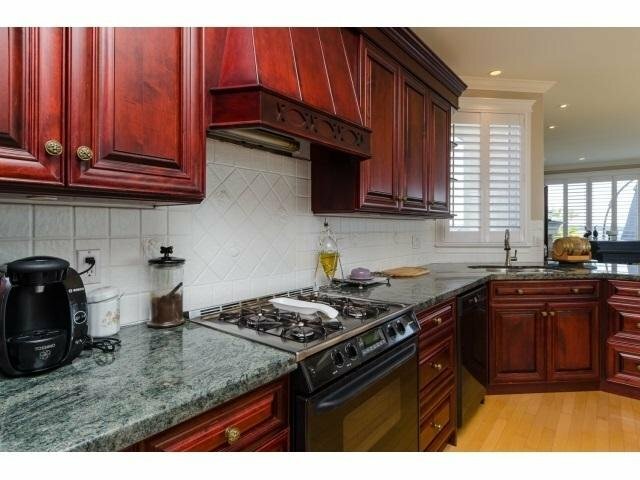 Custom built home w/open floor plan w/maple hardwood throughout main./ Gourmet kitchen w/Maple Cabinets, granite countertops/island, eating bar. 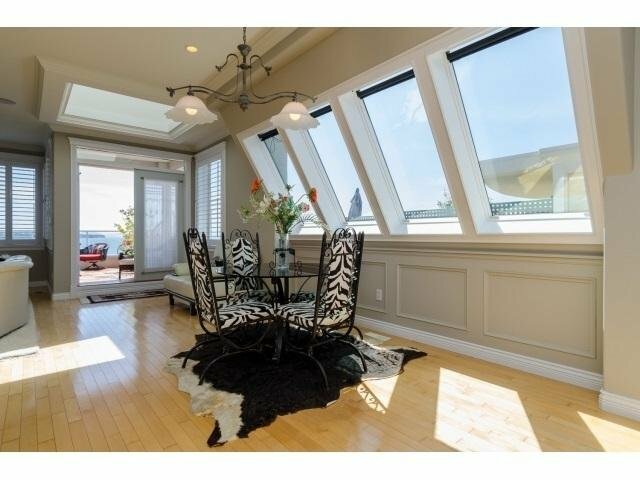 Surrounded by high windows taking in incredible light and view from inside and spacious patio out, new roof. 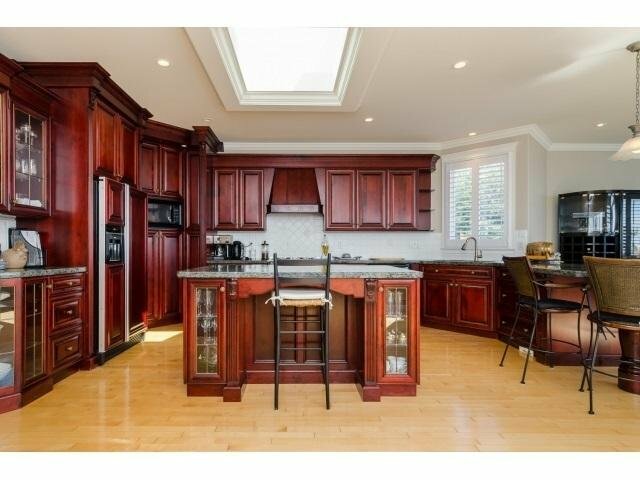 Bonus Butlers kitchen for extra entertaining or nanny or maids quarters. 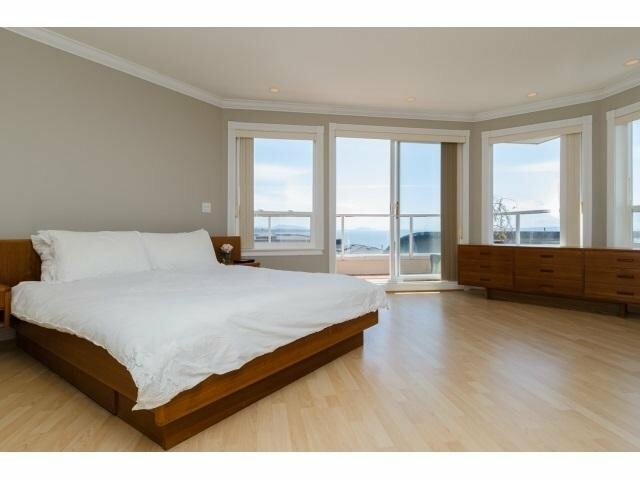 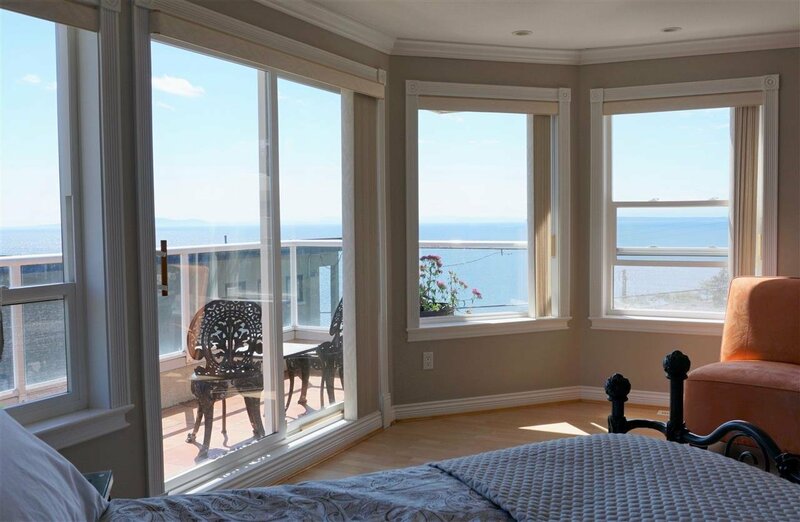 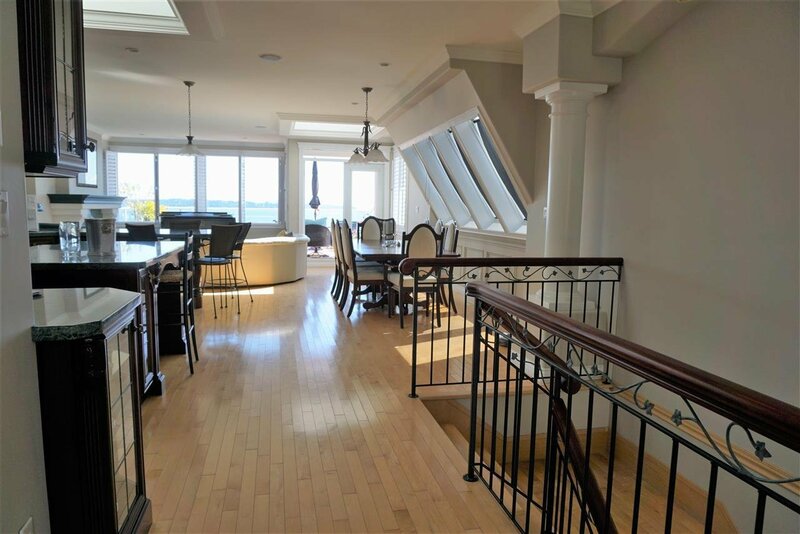 Master bedroom w/deck with Panoramic ocean views and luxurious spa-like 5 piece ensuite. 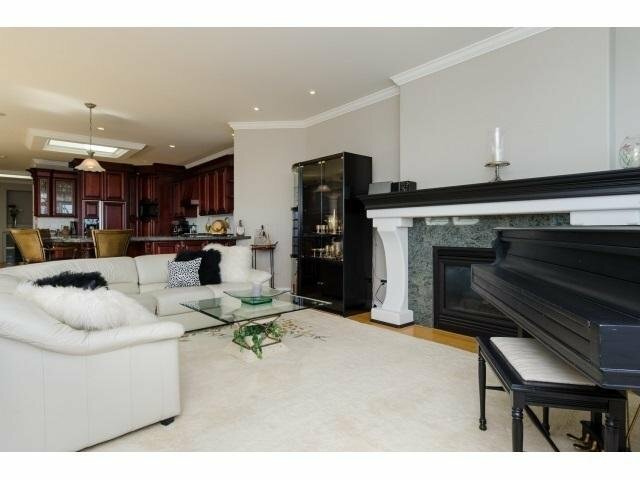 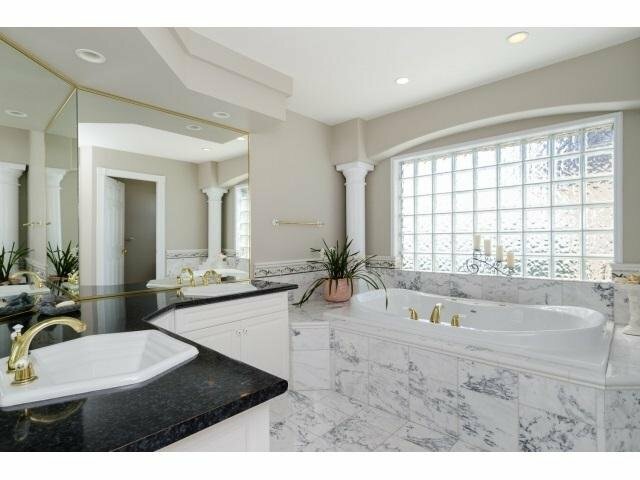 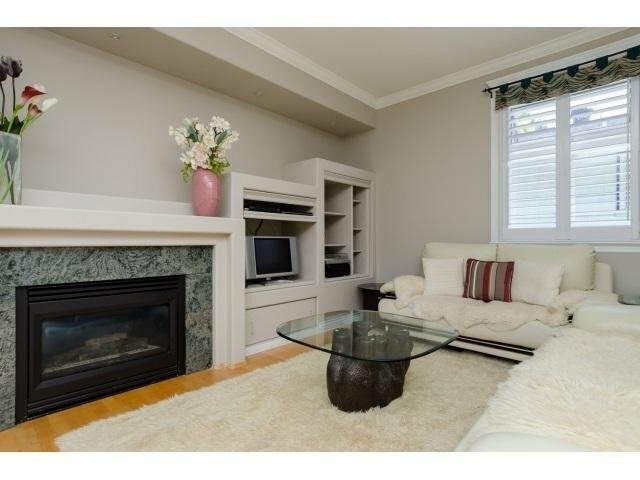 This 5 bdrm 4 bath home also includes a separate lower level entrance. 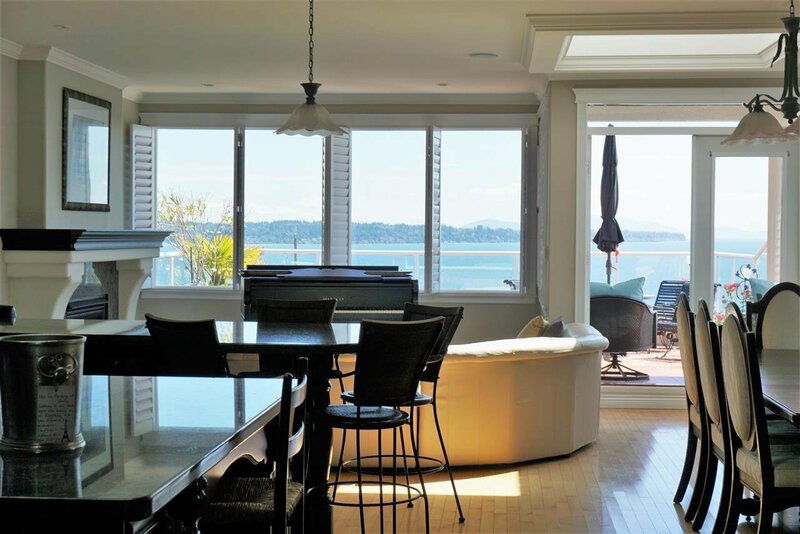 A special home in a sought after location. 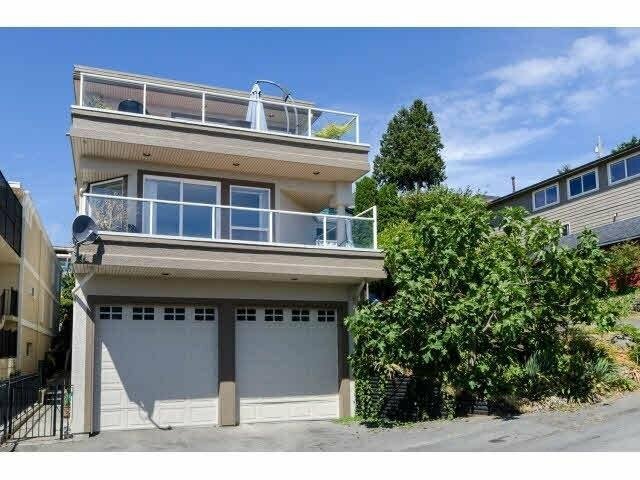 Double car garage (possible 3rd car tandem) w/lane access.